This week we continued our excavations in Block 6 and the latrine. Because of rainy weather on Monday, we focused our efforts on the hospital units which are sheltered. We were able to work in both areas on Tuesday. 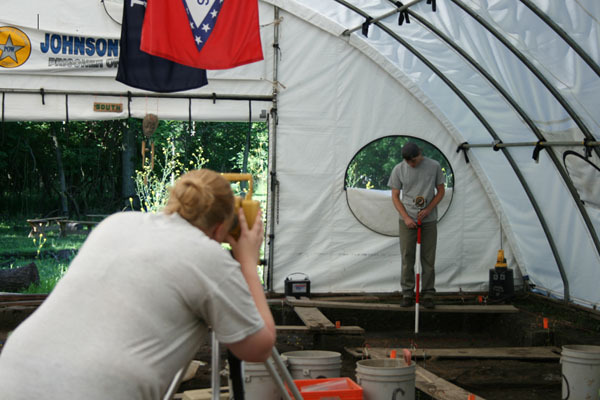 The excavation in the latrine has produced many pieces of glass, ceramic, and bone. We have found several examples of banded yellow ware, probably from chamber pots. One interesting piece has a blue decorative glaze. We mapped the location of many of these artifacts on Wednesday. 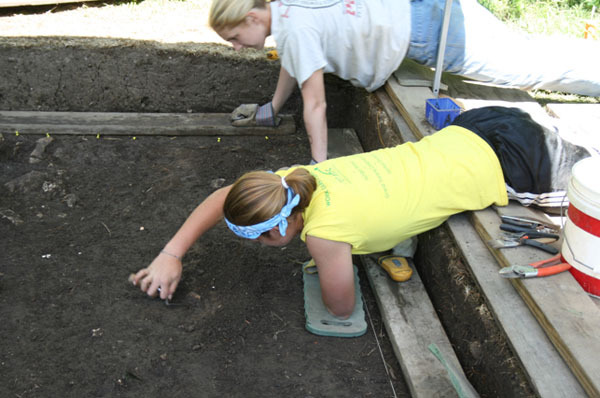 Christina found a square glass bottle base in the latrine as well. 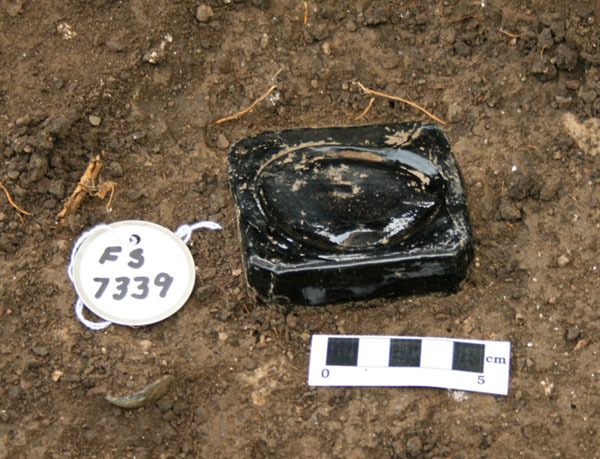 The base is slightly over 7 cm (3 inches) square and is of what appears to be “black” glass (very dark green). We are unsure at this time whether it is a patent medicine bottle, or maybe a gin bottle. Katy and Colbert mapped a unit of the hospital on Tuesday. 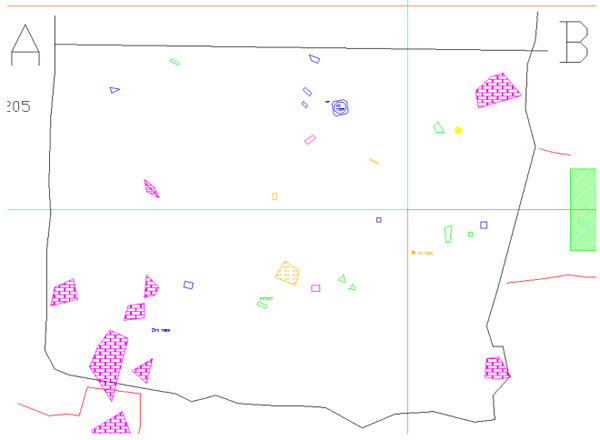 It contained three plow scars and some areas which appear stained in the subsoil. The work in the hospital produced several interesting artifacts, including, a bottle finish and a cut piece of hard rubber button. This entry was posted on Thursday, July 3, 2008 at 6:41 am	and is filed under Field Reports. You can follow any responses to this entry through the RSS 2.0 feed. Both comments and pings are currently closed.